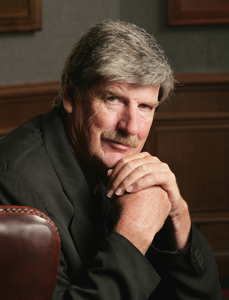 Wine-making, forestry, cattle-breeding, painting, olive groves, thriller writing: you could say that New Zealand's Mike Ponder is a modern renaissance man. Internationally known in a variety of fields, Ponder became a professional artist in his 30s, famous for his distinctive and bold works. He also cultivated grapes, olives, and forestry on his land, and broke into publishing with three books on his artworks, then one about the burgeoning New Zealand olive oil industry, before turning his hand to penning international thrillers while living in Australia (where he was part-owner of the famous Driza-Bone outdoors coat company). Phew. Talk about packing things in, and passionately following all your interests. Now back in New Zealand, living on his new farm in Marlborough, Ponder is two books into an exciting thriller trilogy involving the Royal Family. The first, THE WINDSOR CONSPIRACY, was published in 2007. In among everything else he does, Ponder published FOUR KINGS in 2012, and is planning on soon releasing the finale. 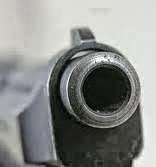 But for now, Mike Ponder becomes the 137th author to stare down the barrel of 9mm. I don't have a favourite fiction hero. This is probably explained by the fact that I made a conscious decision not to read novels when I'm writing because I don't want to be influenced by other authors. Without a doubt the book would be REACH FOR THE SKY. I must have read it at least five times when I was young. I think it was Douglas Bader's obstinacy, tenacity, and complete disregard for authority that appealed. In 1990 I produced the first book on my art, TEXTURED COLOUR. In 2000 I produced my second art book which was called MY WAY – A TOUCH OF RED. In 2004 the third book in the series was released. It was called OIL ON CANVAS. All three were bestsellers. In 1988 I wrote THE GOOD OIL, a book about growing olives and making olive oil in New Zealand. It became an immediate best seller and in 2001 an updated second edition was published. All the above books were published by Wenlock House. As far back as I can remember I have had a yearn to write. In the 1970's I wrote my first novel 'Strike'. In was picked up by an international publisher but on the basis they would only go ahead if a deal could be struck for paperback distribution. However the paperback publishers were unhappy with the New Zealand content, claiming it would lack appeal to an international audience. That was the catalyst for me to write a novel that was not only truly international but also universally appealing. I achieved this by developing the plot around the British Royal Family, and a secret, which if exposed, would spell disaster for the Monarchy and the British Government. The Novel is called THE WINDSOR CONSPIRACY and was published by Random House in 2007. It enjoyed international success. 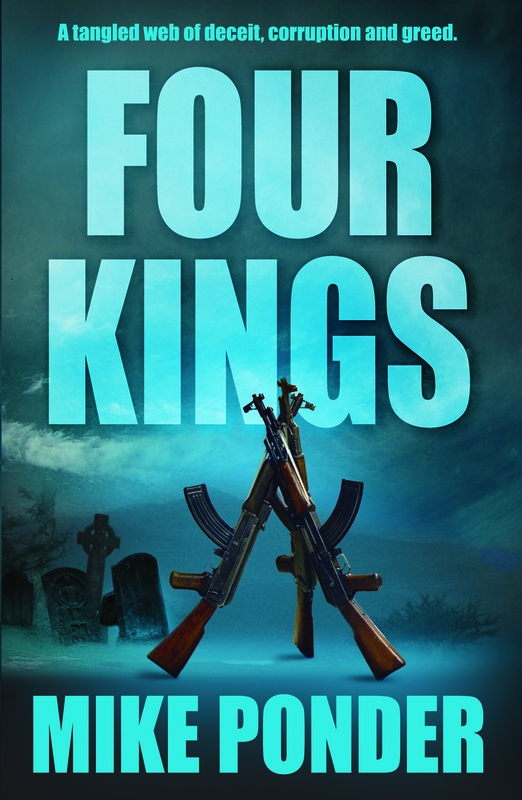 The sequel FOUR KINGS followed in 2012. My third novel which I have titled FOR QUEEN AND EMPIRE will complete the trilogy. Even though I'm old enough to be retired I find myself busier than ever. Besides writing and all the commitments that come with it, I still paint and exhibit my work. I live on a farm on the outskirts of Blenheim where we have a large vineyard and a Shorthorn cattle stud. Forestry also still plays a role in my life. Over the past few years we have established significant plantings of pine, larch , black poplar and oaks, and we still have forestry interests in the Marlborough Sounds. Olives are also still an interest and we have established two groves adjacent to the vineyard. Somehow I manage to get to golf once week, I play the bag pipes and I like to spend time with my Granddaughters. The quality of the trout and salmon fishing in the Wairau River is often overlooked. As also is the diversity of Marlborough's six golf courses. What could be better than a golfing holiday and playing on a different course each day? Another unheralded but none the less interesting destination is the Nut Ranch in Tyntesfield Road where they sell an amazing range of products made from hazel nuts. This question has caused a great deal of debate around the dinner table. The problem is I'm so bloody tall. About two metres, and so many actors are so bloody short. Because of my many hair-brained schemes my wife thinks it would have to be John Cleese [providing he doesn’t mention the war]. I'm more for the suave, successful, image of Michael Douglas. My favourite work is possibly FOUR KINGS because I used historical and true life events to create the framework for the plot. It was a very moving story to write. Four Kings is set in Zimbabwe at the time Mugabe was turning a blind eye to the killing and forced displacement of the white farmers whose land was to be used for re-settlement. Why did the British not intervene? And what role did the Monarchy play in that fatal decision? I guess I wasn't too surprised when my first novel was snapped up for publication because I really believed it ticked all the boxes. However I still felt very humbled and proud whenever I saw the book displayed as a 'best seller' in New Zealand and Australian bookshops. At a book signing a middle aged woman said. "I think you are so much cleverer than your namesake the artist. I saw him once. He was nothing like you. Have you ever met him?" Thank you Mike. We appreciate you taking the time to chat to Crime Watch. You can read more about Mike Ponder at his website here.